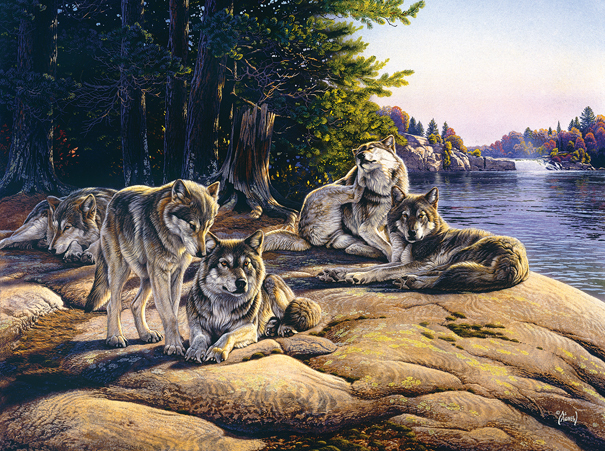 We love the wolf Ridge Puzzle as the artist, Al Agnew, captures the essence of a Wolf Pack lounge, perfectly. It's downtime for the pack and they seem to be enjoying an early autumn day. This Wolf puzzle is 100% made in the USA using eco-friendly, soy-based inks on recycled board. You will make a Wolf lover happy with this gift.